We’re pleased to announce that we have arranged for Bob Woods, from Workstress, the national work -stress network, to speak to UNISON members. Bob will talk about how and why people feel stressed and what we as trade-unionists can do about it. He’ll be here on Thursday 19th April, Room 117, Mithras House from 12pm to 2pm. All UNISON members are invited for 12pm for a free light lunch and Bob will start at 12.30pm. Feel free to drop in for some or all of Bob’s presentation and question & answer session. Many people will be aware that the Vice Chancellor has been shortlisted for the Guardian’s Higher Education Inspiring Leader Award, due to be announced on 24th April. Whilst we recognise that there has been change and a new direction of leadership since Debra’s arrival a few years ago, we think you’d struggle to find many workers or students at the University who would regard the architect of those changes as inspirational. We’ve seen the closure of Hastings campus, resulting in the avoidable destruction of jobs, livelihoods and real educational opportunities for the town. For the first time ever, the University offered voluntary severance to members of staff whilst simultaneously trying to force compulsory redundancy on selected people. Reorganisations have taken place, which may have made improvements, but stress levels have risen and some people have been made visibly ill as a result of having no clear direction, management or reasonable accommodation in which to work. Our attempts to get the University to carry out a stress survey have been documented elsewhere, but we’re not convinced that a failure to identity and deal with workplace stress is the actions of an inspirational leadership. In short, the VC has taken steps to turn the University of Brighton into a higher education business with an emphasis on the paying student-customer always being right and the culture of Brighton – being prepared to be a bit different, forgotten, because we need to do what other universities are doing, because someone senior says so. Whilst we don’t accept that league tables have anything to do with educational quality, by the standards set by the government, it’s fair to say that the University has not exactly improved. If transforming the public service of higher education into degree-factories, openly competing with each other is the goal, then the VC has partially achieved the first steps, but for many people working here, this transformation is not inspired. It is the worst thing that could happen to a public service, as we’ve seen with NHS privatisation and outsourcing, linked to an obsession with big business being the solution to all our problems. To be fair, it is true that Debra has made a real effort to promote the ideas of equality and diversity across the University and many people at Brighton are, quite correctly, pleased about that. However, genuine equality for all, means committing resources to making life easier for those with long-term illnesses, disabilities or caring responsibilities and we’re constantly being told that whilst the University will be sympathetic, when it comes to finances, there is nothing available to make life easier and consequently address inequality properly. The VC has taken steps to address environmental issues, but as we’ve pointed out before, successive People and Planet Awards have shown the University to be hopelessly lacking in workers’ rights, scoring a derisory 10%, in part, as a result of the outright refusal to consider becoming a Living Wage Employer. In fact many lower grade staff, mostly women, have dropped below the real living wage of £8.75/hour. A happier, less stressed and valued workforce would undoubtably see a Vice Chancellor which committed to those things as inspirational. 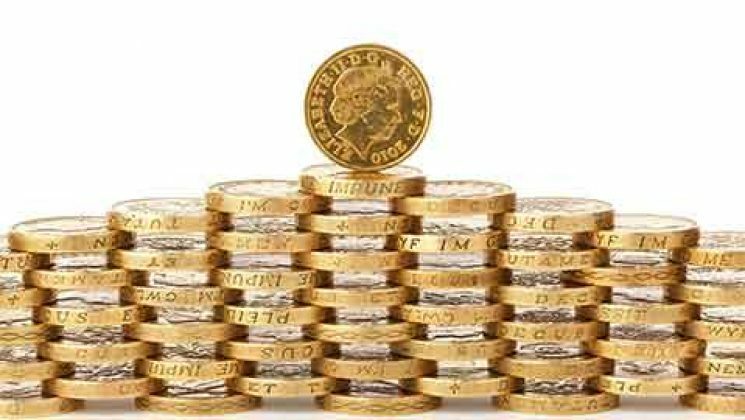 UK-wide pay talks for higher education got under way on the 26th March, involving employers and all five unions: UNISON, Unite, GMB and academic unions UCU and EIS. Although no offer has been tabled, UNISON described the discussions as “constructive” and all parties have said they intend to make progress across all elements of the claim at the next meeting. 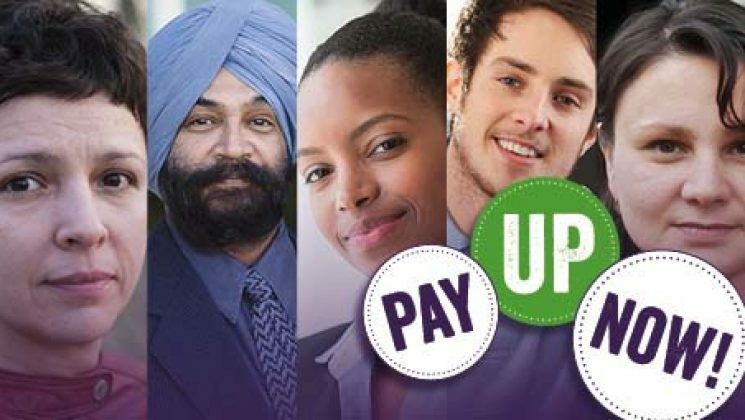 “UNISON has made it abundantly clear that our members want a pay increase that addresses the squeeze on salaries and rising living costs as well as institutional inequalities such as closing the gender pay gap and ending precarious employment in the sector,” says UNISON head of higher education Donna Rowe-Merriman. End the public sector pay cap! We’ll be meeting in Brighton to travel to Egham and march to the Runnymede Memorial. Invited speakers include John McDonnell MP, Dave Prentis UNISON General Secretary, Len McCluskey UNITE General Secretary, Jac Berry, Diana Leech and Dan Sartin NEC Members. All welcome and we’ll pay for your travel costs if you want to come. Just let us know if you’re interested. It’s absolutely fantastic to see the University is celebrating International Women’s Day with their Women of Impact page, such incredible work by so many academic colleagues, and doubtless countless more not on the page! What isn’t so great is the lack of even a nod in the direction of our amazing female support staff here at the University of Brighton. The women, without whom, the University of Brighton would cease to function. I believe that we are ALL women of impact, no matter how ‘big’ or ‘small’ that impact is. Every morning when I come in to work, I say hello and have a little chat with our cleaners who are always so kind and happy that they get me off to a good start to the day. Every lunch time I share a joke with catering staff about my indecision on what to buy, and the inevitable choice of chips with beans in the end. Whenever I need help, caretaking, admin and technical colleagues are always there ready to assist and with a smile on their face. All of these amazing staff regularly impact my time here at the University of Brighton in a positive way. So I am writing on behalf of UNISON to say a huge THANK YOU to ALL of our women of impact, and that is each and every one of you. Over the past few years we have seen a great increase in the visibility and awareness of trans and gender identity issues, unfortunately alongside that there has been a lot of hate, discrimination and violence. So often the conversation is focused on how people will be affected by trans people, but we need to also think about how society affects trans people. According to Stonewall, 41% of trans people have experienced a hate crime or incident due to their gender identity in the last year and 12% of trans people have been physically attacked by a colleague or customer at work in the last year. That is why it is so important for us to ‘come out’ as trans allies, challenging discrimination wherever we see or hear it and being visible when we do so. Being an ally is easy, you don’t have to be an expert in issues surrounding gender identity, all it really comes down to is not being rude! 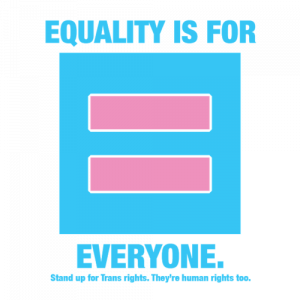 March 31st is Trans Day of Visibility, this year Brighton and Hove City Council and the University of Brighton, among other local organisations, will be handing out pronoun badges to mark the day. The #MyPronounsAre pronoun badge campaign highlights the fact that you can’t assume someone’s gender identity and wearing a badge is a simple way of showing that you are a proud ally. This year I will be joining the campaign and wearing my badge with pride, I hope many others will too. Listen to trans people, wherever you can get a trans person’s perspective on things. Challenge transphobia, don’t leave it to trans people to challenge discrimination. Educate yourself, there are loads of resources online around gender identity. Don’t assume people’s gender, don’t be afraid to ask someone their pronouns. ….as are all our recent newsletters. You can find them on the Newsletter page, funnily enough. Thanks to all members who made it to our AGM yesterday! We had 60 people there, which was brilliant given the weather. Thanks in particular to those who made it from outside Moulsecoomb. We really appreciate their efforts to get here. Sandy Nicoll from UNISON’s National Executive Council spoke and we discussed a wide rang of subjects – pay, stress, casual workers, annual leave, job description changes, the government review of higher education funding etc. I’ll make sure we produce a video as soon as possible. Please let us know if you’d like to help. Two members volunteered to be officers of the branch, but we’re always looking for more members to get involved so give us a shout if you’re interested. “Any change in tuition fees needs to support wider access for students that need flexibility in study options,” UNISON head of higher education Donna Rowe-Merriman said today. She was speaking after prime minister Theresa May admitted that students in England face “one of the most expensive systems of university tuition in the world”, and announced an “independent review of fees and student finance” to take place over the next year. Tuition fees in England currently stand at £9,250 a year, which leaves student nurses, for instance, qualifying with a debt of more than £50,000. “UNISON remains committed to a free education system funded by general taxation and is keen to contribute to any examination of fairer ways of resourcing post-16 education,” said Ms Rowe-Merriman. She pointed out that a well educated workforce benefits the economy and society as a whole, not just individual graduates. Public sector workers including nurses, teachers, doctors, social workers and many more, are all educated at universities around the UK. Cambridge University is leading the way on pay, says UNISON, whilst Brighton lags well behind. UNISON’s head of higher education Donna Rowe-Merriman said: “Cambridge University’s commitment to give its lowest paid staff a fair wage is a move that urgently needs to be replicated in other universities across the UK. There is no place for low pay in higher education. “Almost 12,000 staff working in universities earn below the real living wage, trapping them in poverty. That’s in stark contrast to around 5,500 senior university staff who are paid more than £100,000 a year. “The huge disparity between the richest and the poorest university employees at some of the UK’s most respected institutions has to end. Sadly, the real living wage of £8.75/hour is now more than the bottom two spinal points at the University of Brighton, which means that many grade 1 employees are being paid less than at many other universities, which have signed up to become Living Wage Employers. The 37 hour week doesn’t help, but we want to see real movement so that Brighton University doesn’t get a reputation for being one of the most exploitative public sector employers in the region and across the sector. We are on Facebook. You can join our group here.